Fairburn finishes in 7th and Neilsen finishes in 13th. 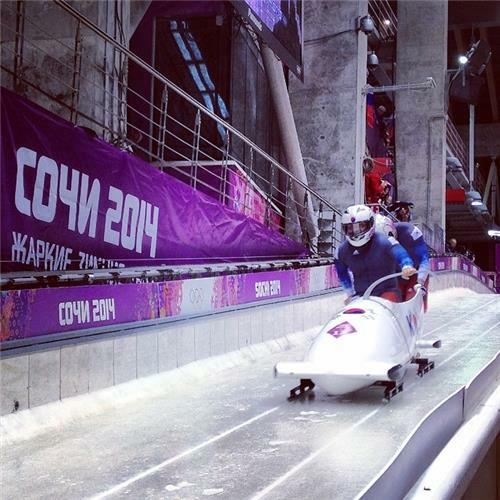 Thanks for joining us today for the Mens Skeleton competition. 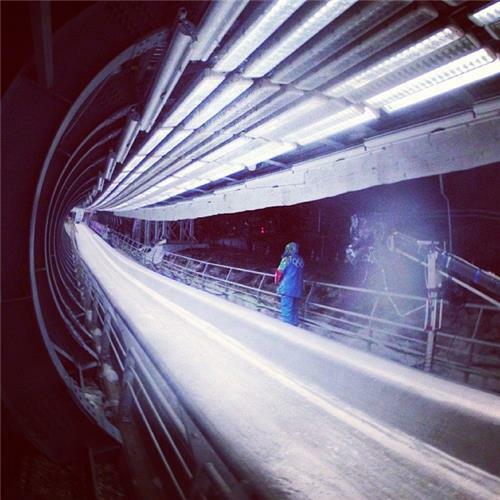 We'll be back on February 17 at 9:30am ET for the 3rd and 4th runs of the Mens Two-Man Bobsleigh competition. Switzerland on the track now...Canada up next! 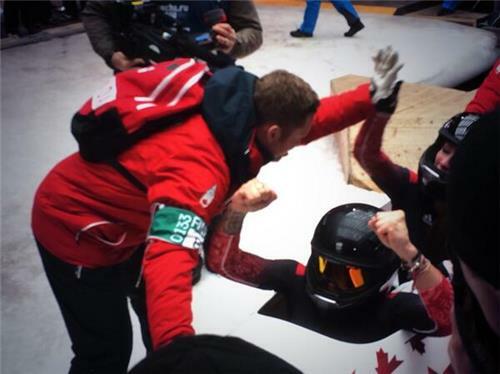 Feel the rhythm, feel the rhyme come on Canada is bob-sled time! ... sorry couldn't resist. 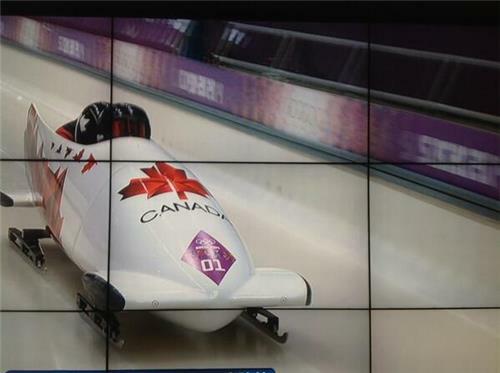 Solid run for Canada...moving into first for now! We have Canadians back-to-back, so here we go with the Spring/Lumsden team! 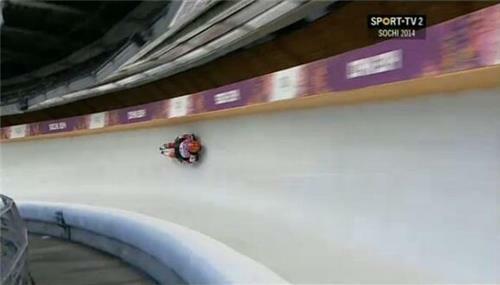 It's starting to get intense in men's 2 man bobsleigh. Our second team moves into first! These guys seem like tons of fun! 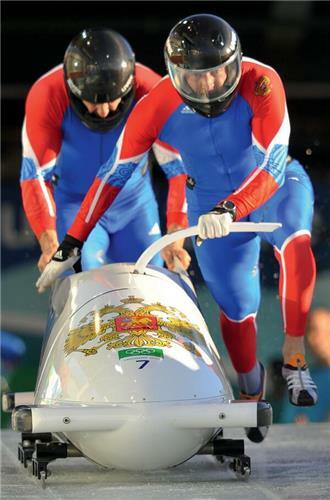 Team Canada 2 is bumped into 2nd spot by the Russian team. Team Canada 1 currently in 4th. Team Canada 3 is up next!! Here we gooo...this is intense! They lose a bit of speed on this run. Currently in 3rd spot. Can they hold on to a podium finish?! 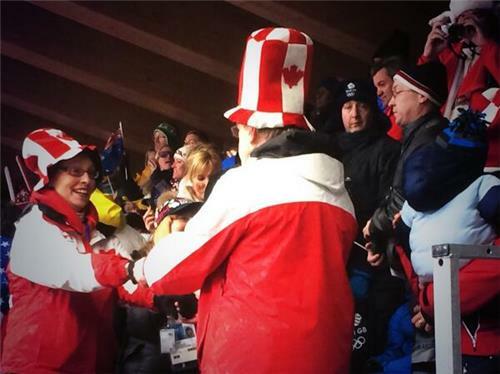 Canada bumped off the podium. It was a close-call though in this final heat! If Russia can get the gold here, the crowd is going to go crazy! And Russia has the gold!! 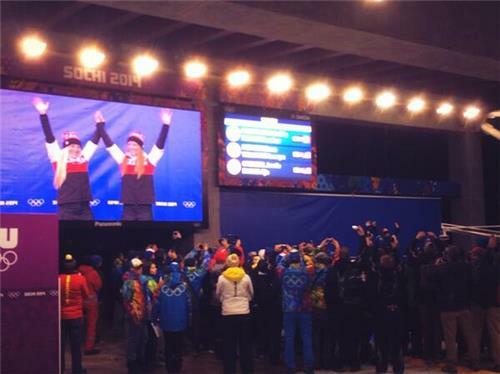 Love when gold medals are won on home soil. 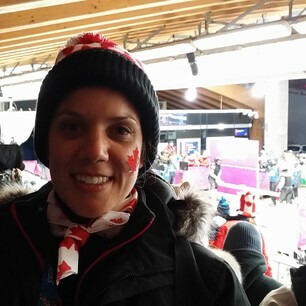 No medal in bobsleigh for Canada today, but join us on FEB 19 as we watch Kaillie Humphries and Jenny Ciochetti go for gold in Women's Two-Man Bobsleigh! 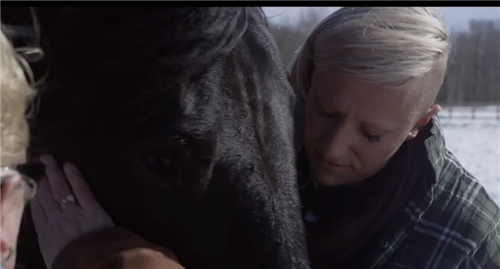 Official Canadian Olympic Team Website | Team Canada | 2014 Winter OlympicsJoin Canadian bobsledder and Olympic gold medalist Kaillie Humphries, as she spends a relaxing day with family. 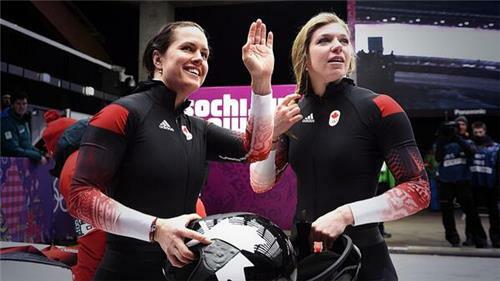 Thank you for tuning into our coverage of Kaillie Humphries and Heather Moyse repeating as Olympic bobsleigh champions! !